Africa is slowly shifting towards renewable energy. South Africa, in particular, has already outlined its intention to become far more reliant on environmentally-friendly methods of energy production by 2030. As renewable energy gains popularity on the continent, it becomes an increasingly promising investment. More and more African governments are changing the laws around fossil-fuel based methods of energy production, such as coal-fired power stations. Green energy is being favoured in new laws and carbon emission restrictions are becoming more strict. 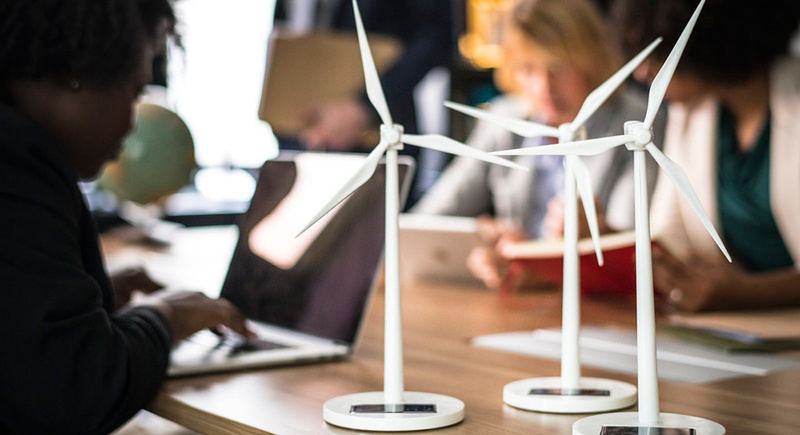 Global law firm DLA Piper has released a guide to the new regulatory environments that are being created for renewable energy in 12 African countries. The guide also looks at the developing energy markets and analyses some of the main policy objectives of national governments. The 12 countries studied in the guide include South Africa, Botswana, Mozambique, Zambia, Nigeria, Kenya, Angola, Ghana, Ethiopia, Morocco, Mauritius and Senegal. It looks at each of these countries individually and notes their current regulatory frameworks that support renewable energy, and where these countries could improve. “The generation and distribution of electricity are fundamental to unlocking economic potential, with the development of renewable energy projects and innovative electricity distribution strategies of central importance to the delivery of economic and sociopolitical objectives of governments,” says DLA Piper Global co-chair of energy and natural resources Natasha Luther-Jones. “With more African governments implementing legal reforms to stimulate renewable energy development programmes, there are significant opportunities for investors, developers and operators across the renewable energy sector on the continent,” she explains. “The current guide provides a valuable reference tool for anyone who has an interest in renewable energy projects in these countries. Energy is a key sector for us and, combined with our long-established presence on the continent, it means that we are well placed to advise clients on this complex area,” says Luther-Jones. Opportunities for investment in renewable energy are slowly growing in Africa. Large multinational companies, such as Coca-Cola, are investing in renewable energy sources which is also helping to grow the demand for green energy technology. Solar and wind power are particularly popular in Africa. In order for renewable energy to really take off, national governments should allow the direct sale and purchase of electricity from private companies that use renewable sources – not only state-owned electricity suppliers. By feeding electricity back into the grid, wind and solar farms will become a more viable economic endeavour. This will boost the reliability of electricity supply for a country, reduce its impact on the environment as well as support the development of the industry. In turn, these factors will lead to growth in the economy and improve the market for electricity suppliers. “Facilitating the development and growth of the energy industry will help to create a virtuous cycle of energy-linked development that reinforces itself,” says Luther-Jones. Africa is in a prime place for a major shift to green energy, and one that should be embraced by all sectors over the coming decade.